The best barricade on the market is not a barricade at all. 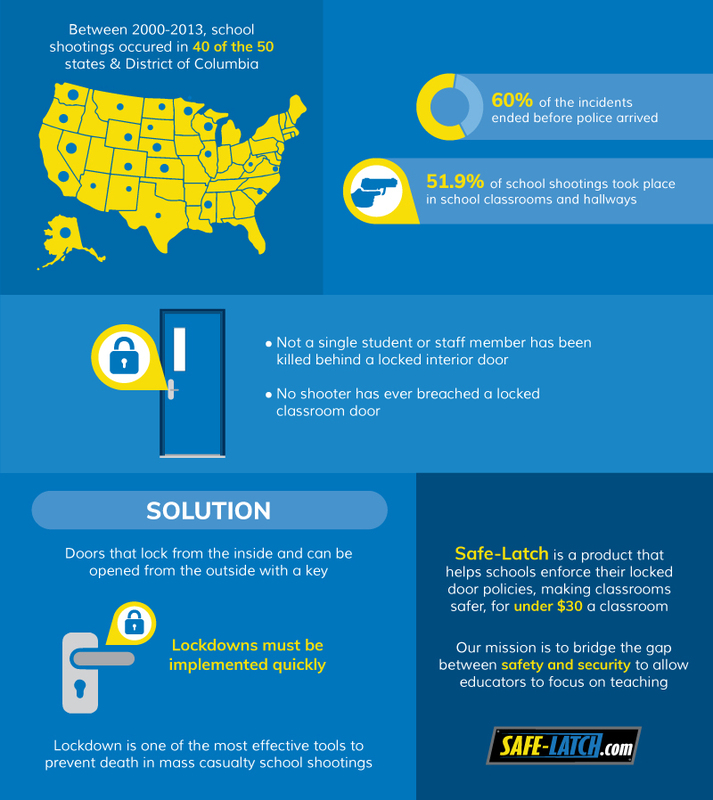 Download our free guide to classroom door locks and find out why Safe-Latch is faster, safer and better than barricades. Approved by fire marshals in over 160 schools in 17 states. Safe-Latch has never been rejected by a single fire marshall or inspector. With safety as our top priority, our product does not breach egress or any fire codes. Ask us for the proof! Never obstructs the ability to exit safely. No matter what position the Safe-Latch is in, the door will open exactly as designed. 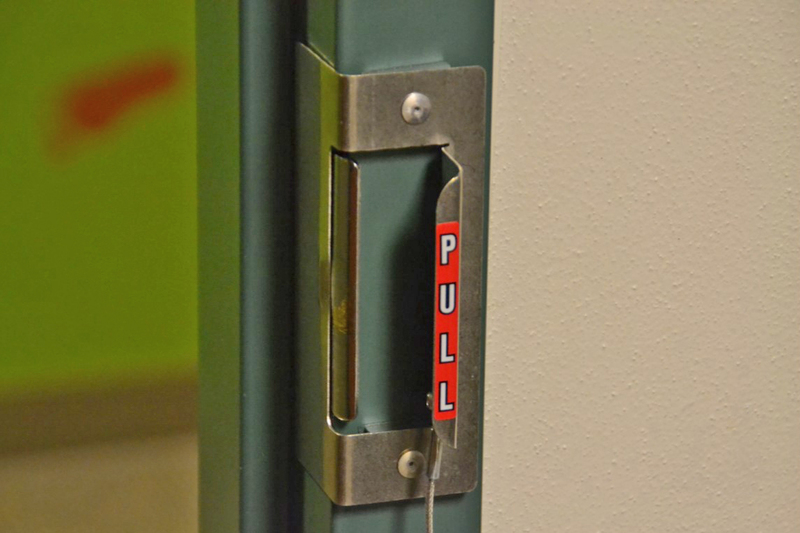 If there is a need for students and teachers to exit the room quickly, Safe-Latch does not impede that in any way. Students and teacher use it every day. No special education or tools ever needed. It’s always on the door. In an emergency, the last thing you need is for someone to have to look for or fumble with unfamiliar tools or products. 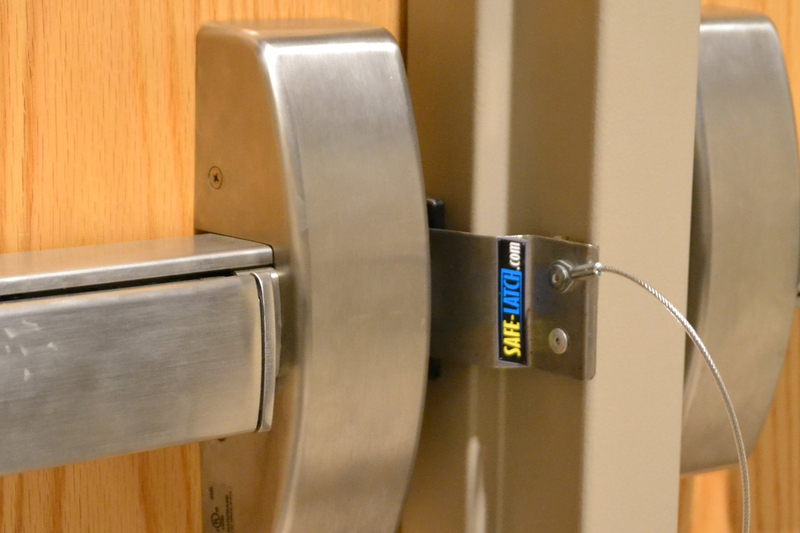 Safe-Latch stays in place on the door at all times and is used every day as students and teachers go in and out of the classroom. Now in use in over 160 schools. Tried, tested and approved, Safe-Latch is helping thousands of school districts keep student, teachers and staff safe every day right now. 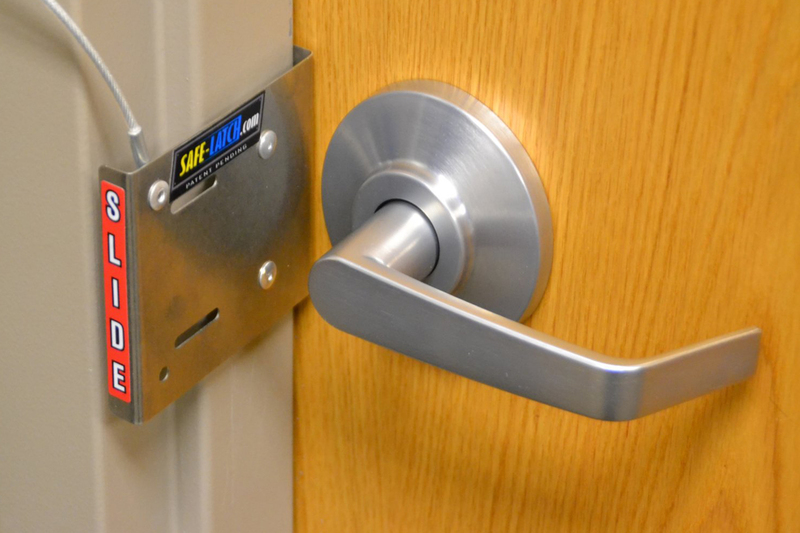 Find out how Safe-Latch can improve safety and security for your school today. There’s no need to replace entire door systems, install costly electronic access control systems, or incur expensive installation costs. 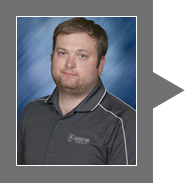 Get a quote for your school or district now! The Safe School Infrastructure Council Report (SSIC Report) includes a standard requiring classroom and other safe-haven areas to have doors that can be locked from the inside. The Commission cannot emphasize enough the importance of this recommendation. The testimony and other evidence presented to the Commission reveals that there has never been an event in which an active shooter breached a locked classroom door.